The word illusion is derived from the Latin, illudo meaning to mock or ridicule. 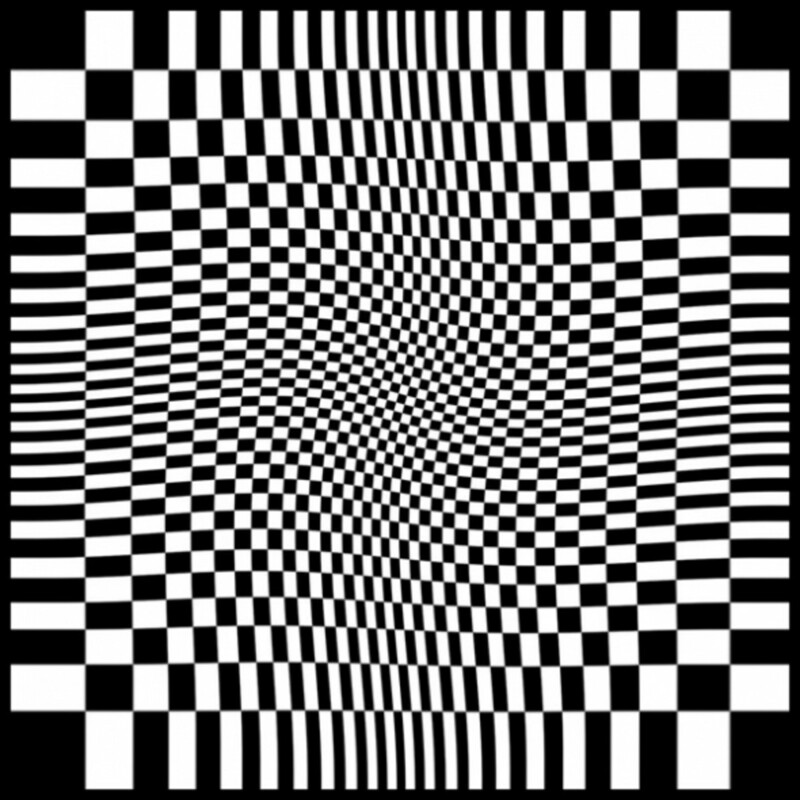 This collection of images includes some classic tricks of the eye and optical illusions with links to the best galleries and illusion collections on the internet. Keep yourself and other people entertained, these images are viewable on your PC, mobile phone or tablet device. 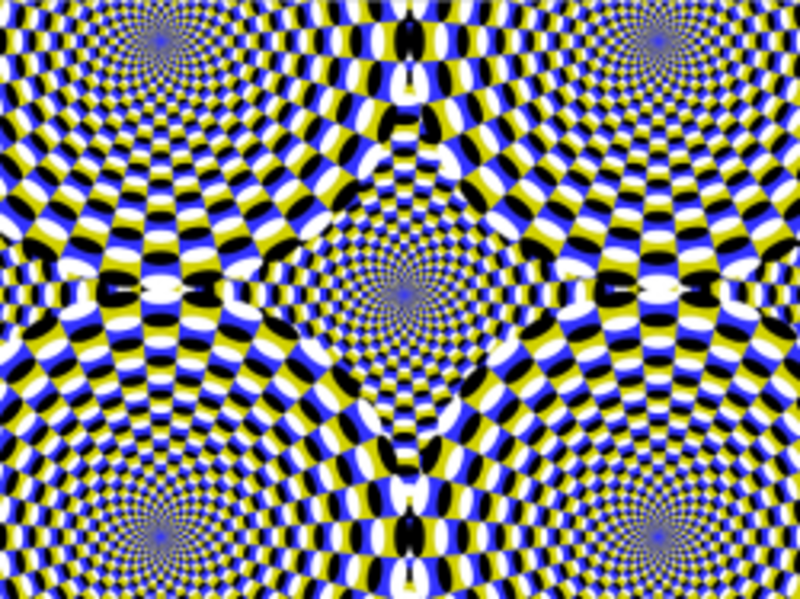 Here are are ten of the best optical illusions on the Internet, plus some more! Secret images, disappearing items, expanding and fading images, there is something for everyone. Don't be fooled by a trick of the eye, be the trickster with this selection of the best illusions for kids and adults. Remember, seeing is believing if you believe what you see. There is even appearance from Jesus and Barack Obama, if you look in the right direction. 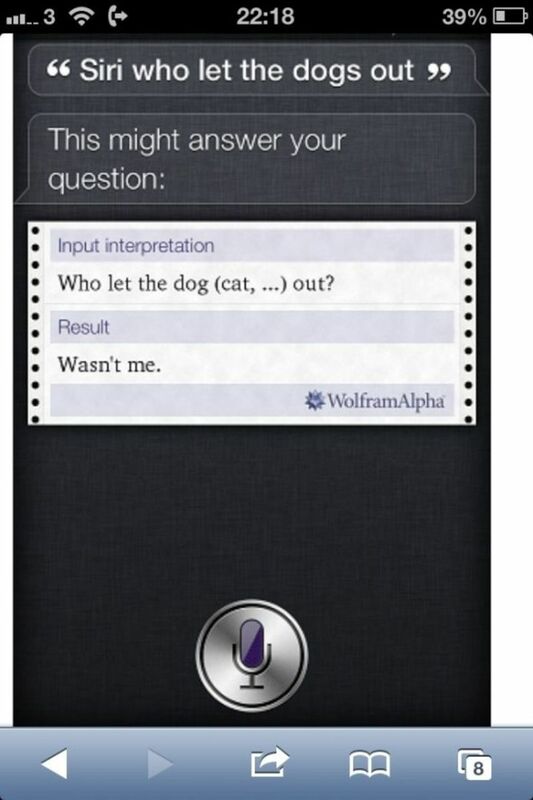 You can also see the top Siri answers here as well and link to the most hilarious and entertaining sites out there. 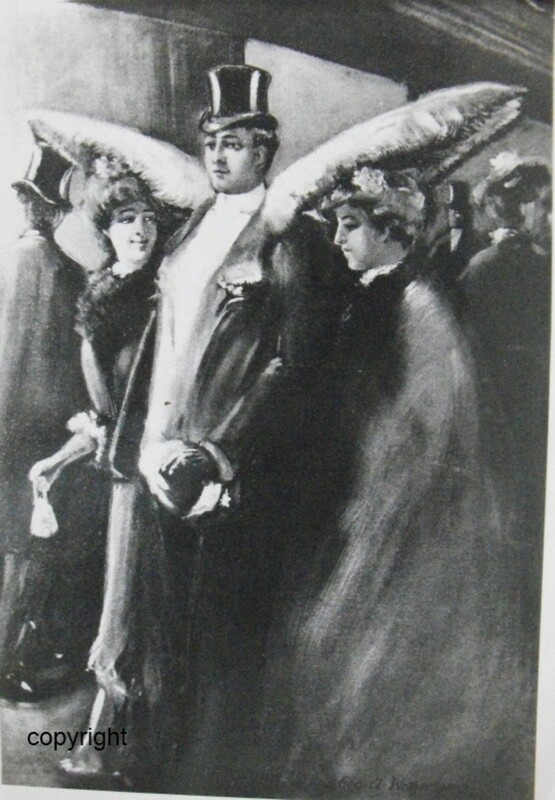 Mighty Optical Illusions gets the credit for the introductory image, a face in the crowd. Dots and colours play a big part in optical illusions and of course word tricks like the picture opposite are all part of the fun. Can you read what the writing says? 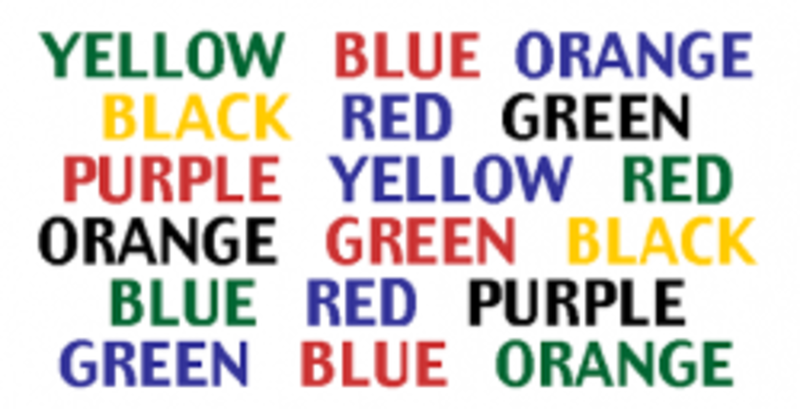 Can you say the font colour and not the word in the illusion below? Do you prefer the Jesus illusion or the Obama illusion, let us know below. If you like this, take a look at our Embarrassing Names lens to see some of the funniest, real life names. 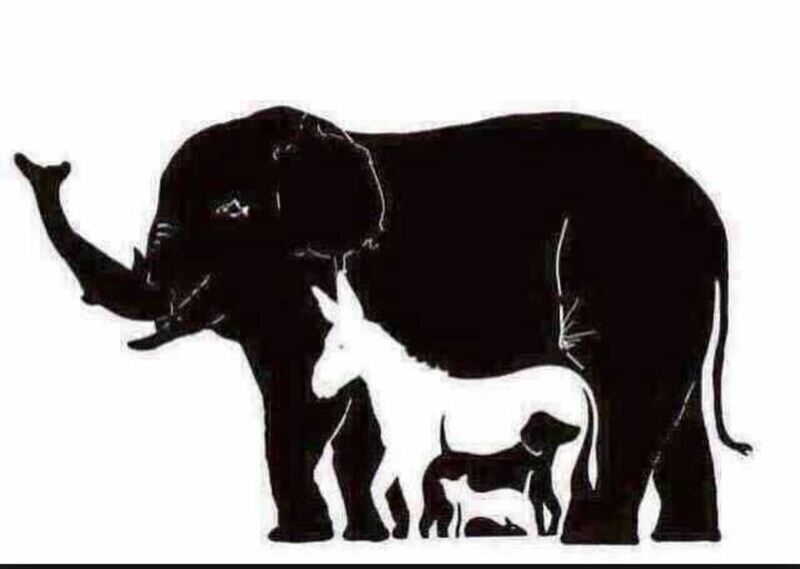 This is my favourite optical illusion because it is so weird! What you need to do is stare at the four dots in the centre of the image for about thirty seconds. Immediately after, stare at a plain wall or blank sheet of paper or look towards a bright light. What do you see? 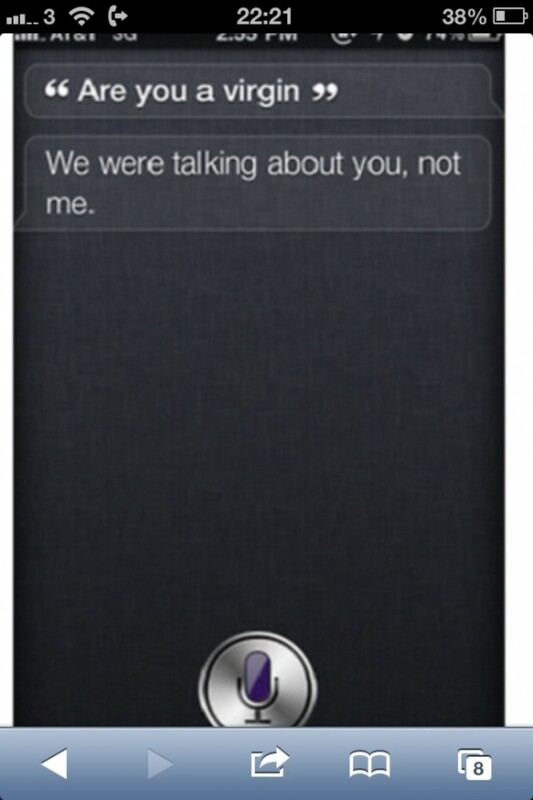 You should see the image of Jesus, similar to the shroud of Turin. Don't get spooked, its only an illusion! Is this a still image? 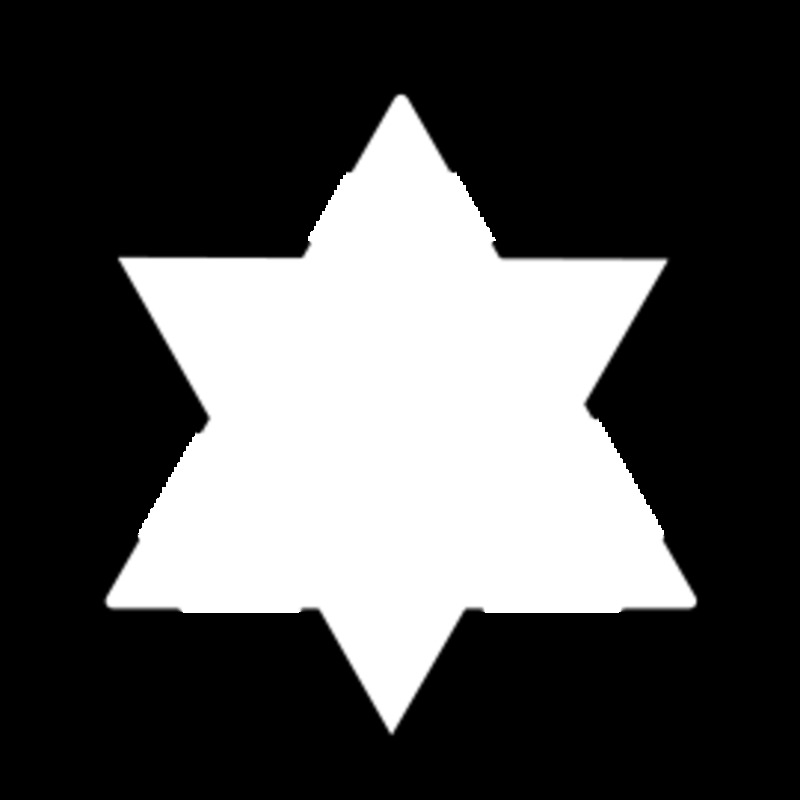 How does this image appear to you? It is a regular JPG image but it appears to be constantly turning, even if you only see it out of the corner of your eye. 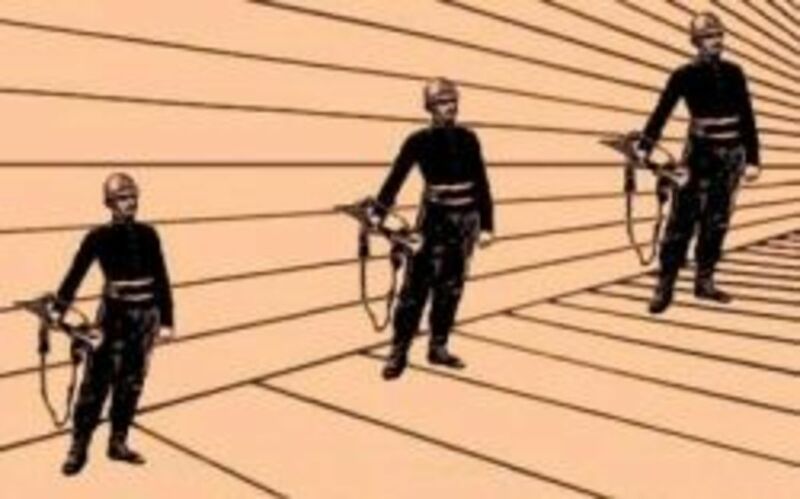 Can you see the image above turning? Yes, it really looks like it is turning. No, I cannot see it turning at all. 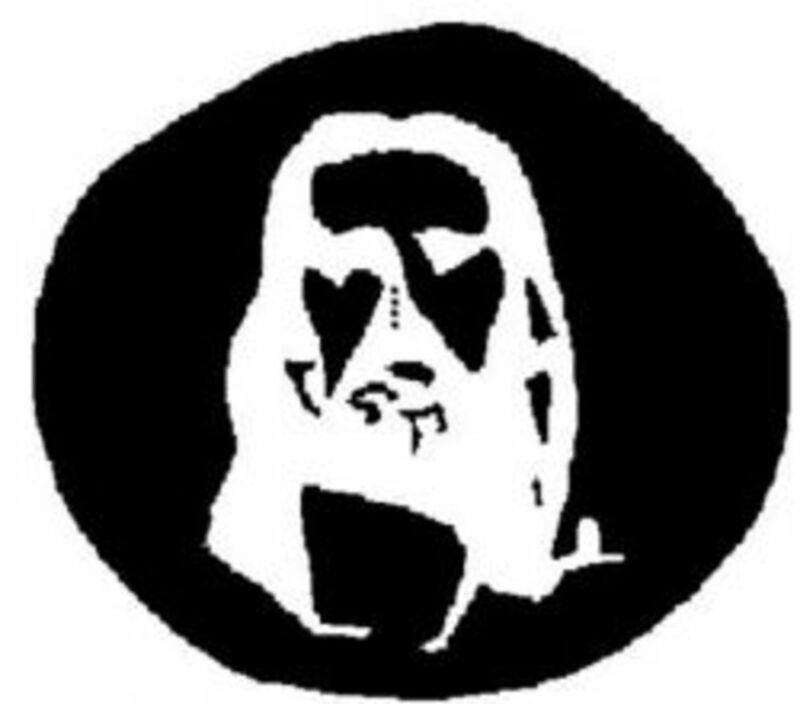 This one is similar to the Jesus illusion. 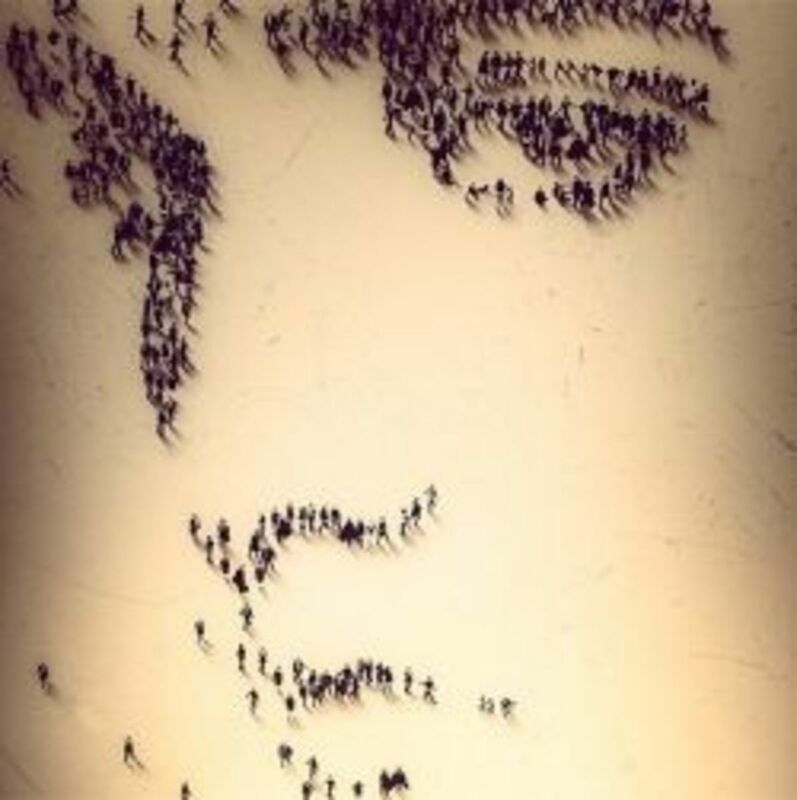 You will need to stare at the image for about thirty seconds, focussing on the red cross at the centre of the portrait. When you look away, all you will see is the president, everywhere you look. It's best to look at a white wall or piece of paper or again towards a light. Glance over this criss cross image, what do you see. 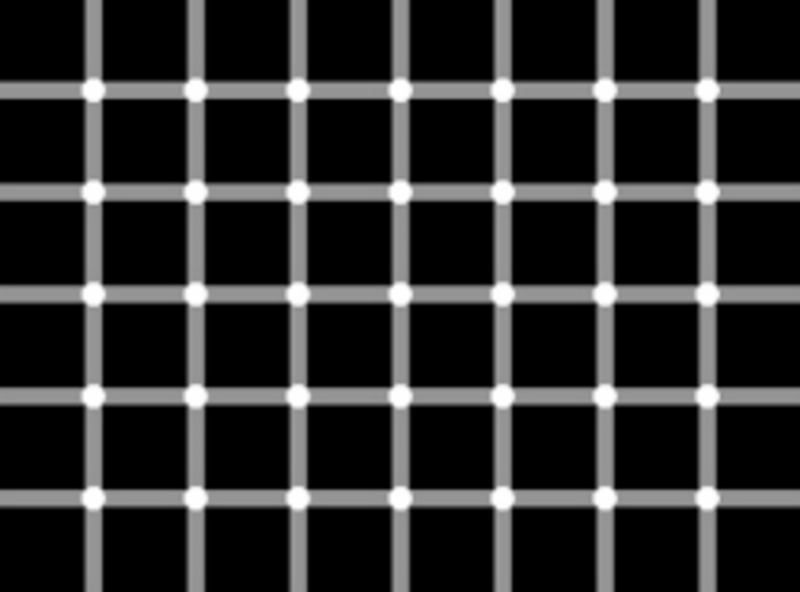 Again this is a JPG image and there are no black dots. Stare at the cross in the centre to enjoy this optical illusion. 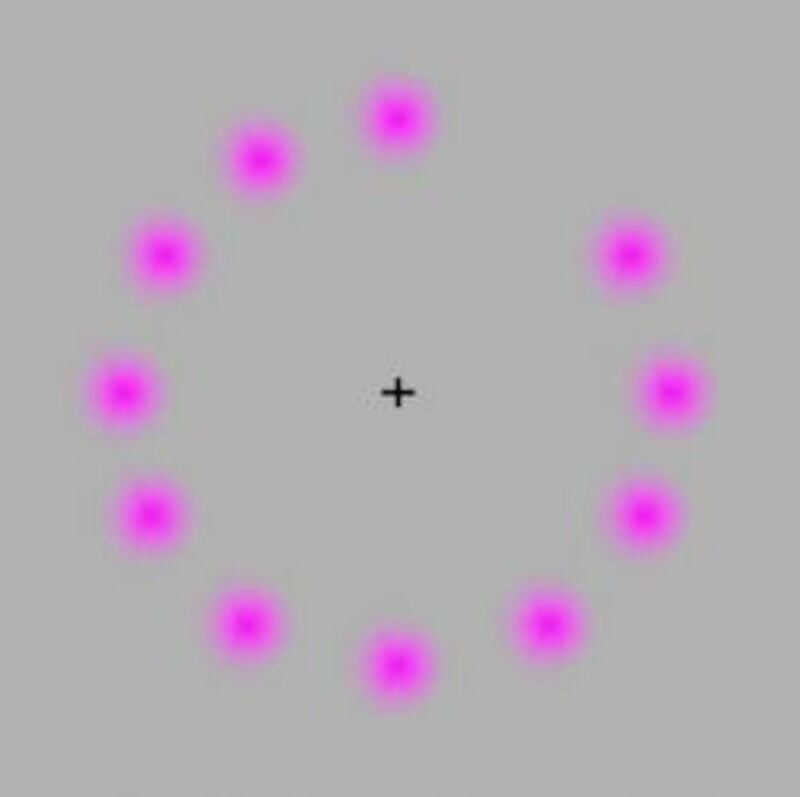 If you stare for long enough, you should see the pink dots slowly disappear. One quick blink though and they all come back. What's going on in this illusion? The picture looks as if it is constantly expanding, but it never actually gets any bigger. Picture credit to Grand Illusions for this one. See the angry face and the kind face swap over as you move the image away from you. Click on the link to find out how this illusion works. 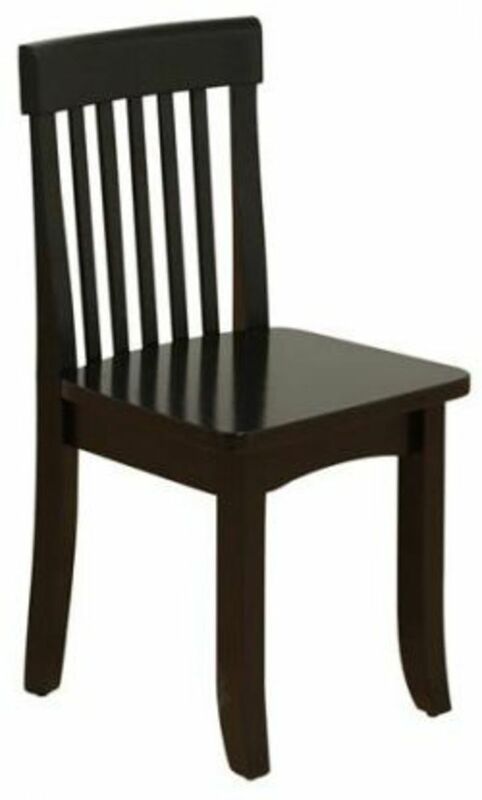 See this chair, does it look like you are viewing it from the front or the back? 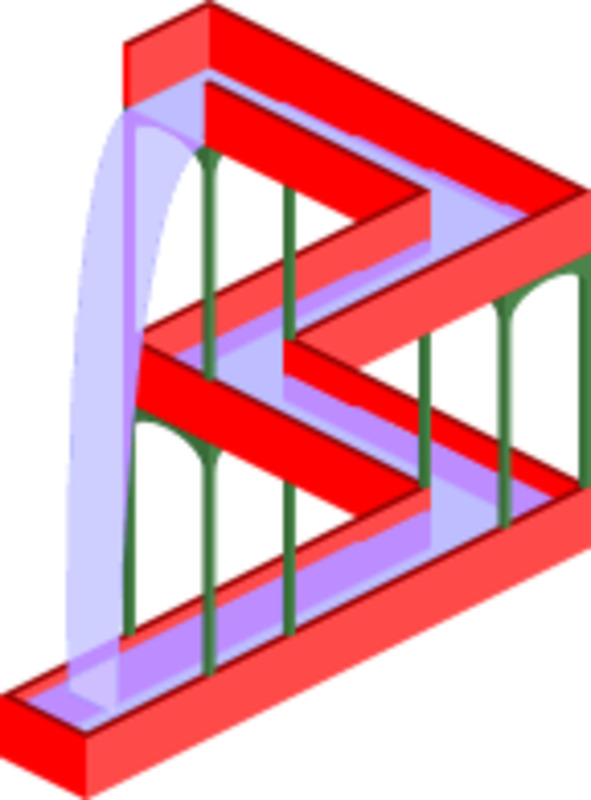 Take another look, which way is it actually facing? Take a look at these other sites that have their own collections of baffling images. The "Hitler" building, the" ugly" coffee shop and "whore" magazine. This site has loads of pictures from around the world. Shops, shopping bags, food and clothing, all with a slightly misunderstood translation of the intended English meaning. This site has some of the most hilarious images .gifs and videos you will find. There are some absolute classic images on this site, sure to make you laugh out loud. Selection of photos and YouTube video to make you laugh and make you cringe. 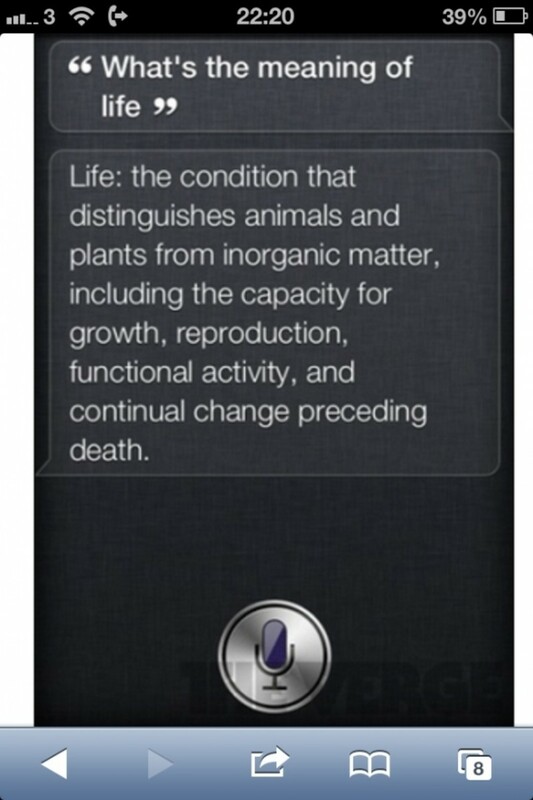 You will find these images amusing. 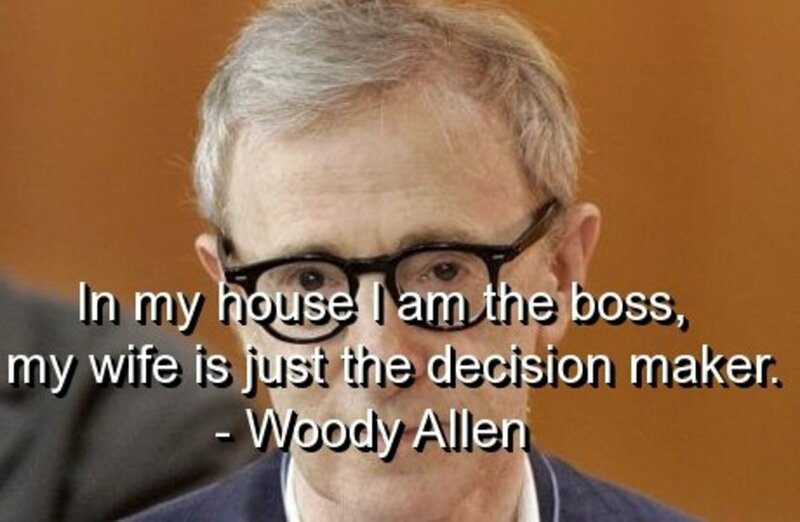 This links directly to to what you may find the most accurate film synopsis of all time. 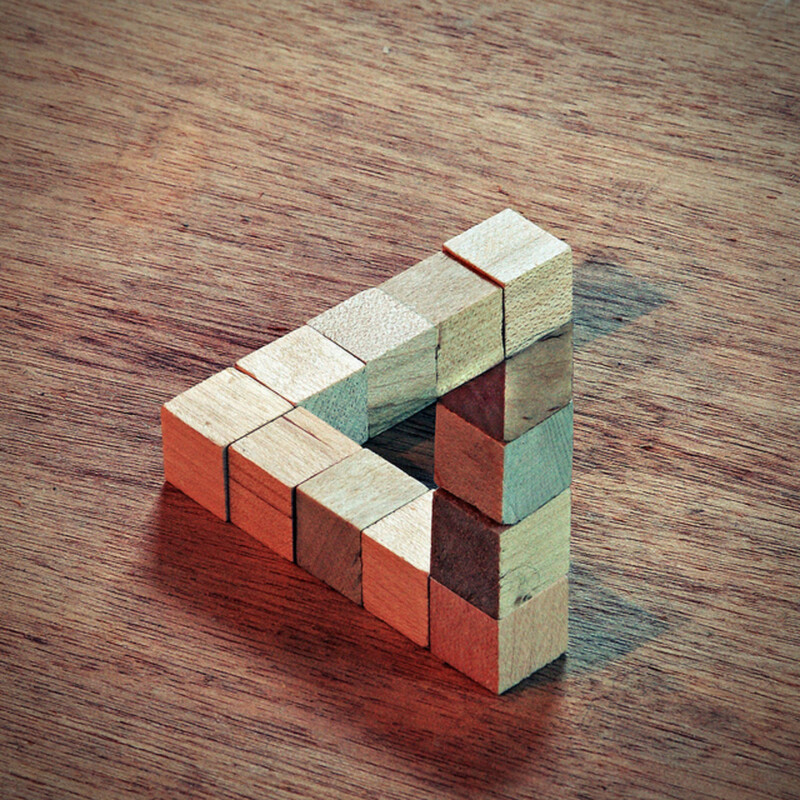 40 examples of optical illusions in photographs. 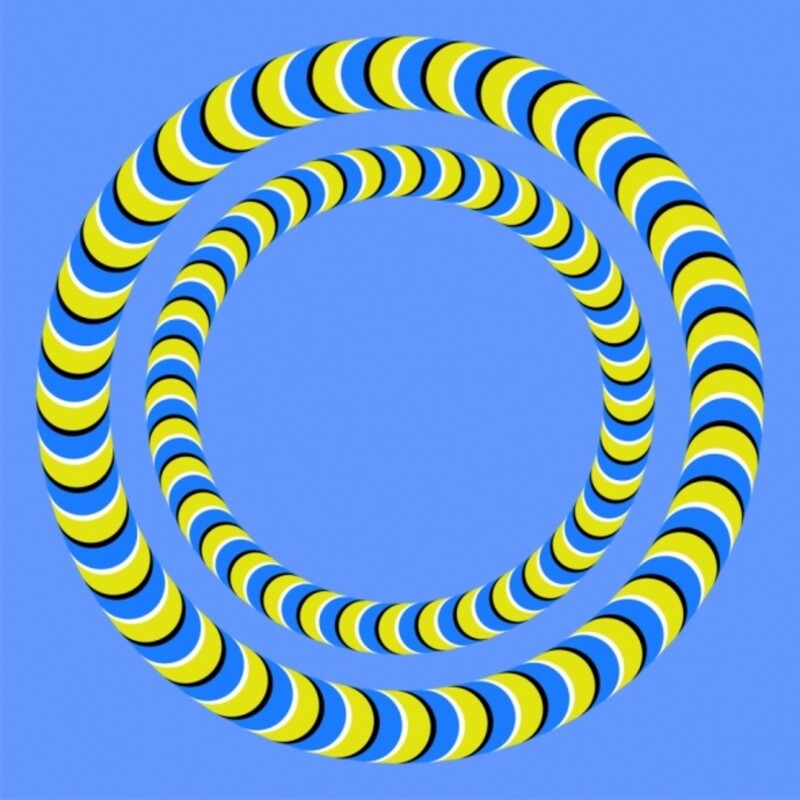 Interesting selection of unusual illusions which is regularly updated. Look at this psychedelic purple and yellow world. Is the world spinning? Does the background turn? Leave it to your imagination. 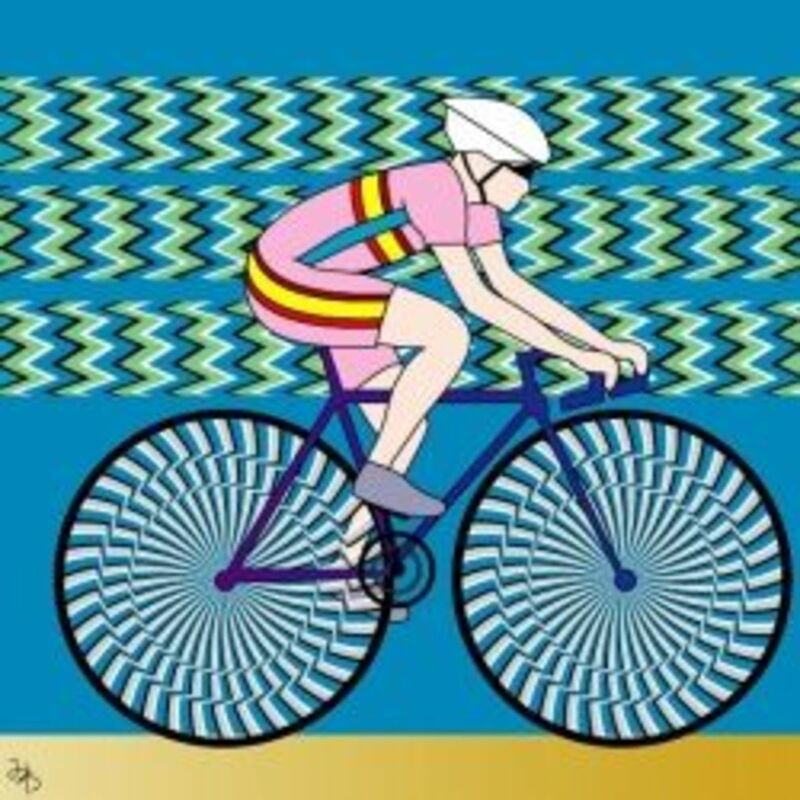 One of several images from the National Institute of Environmental Health Science which has lots of great optical illusions for kids. 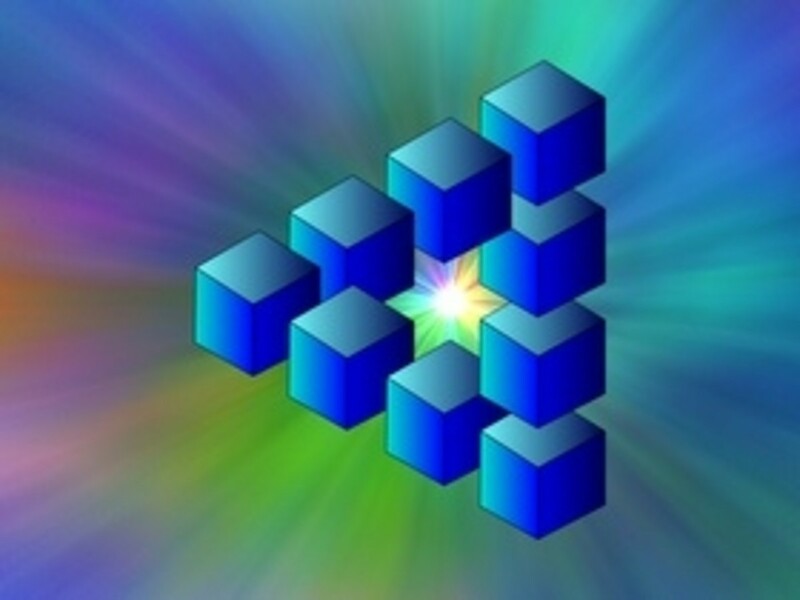 This educational website is well worth a look for games, puzzles and fun stuff. 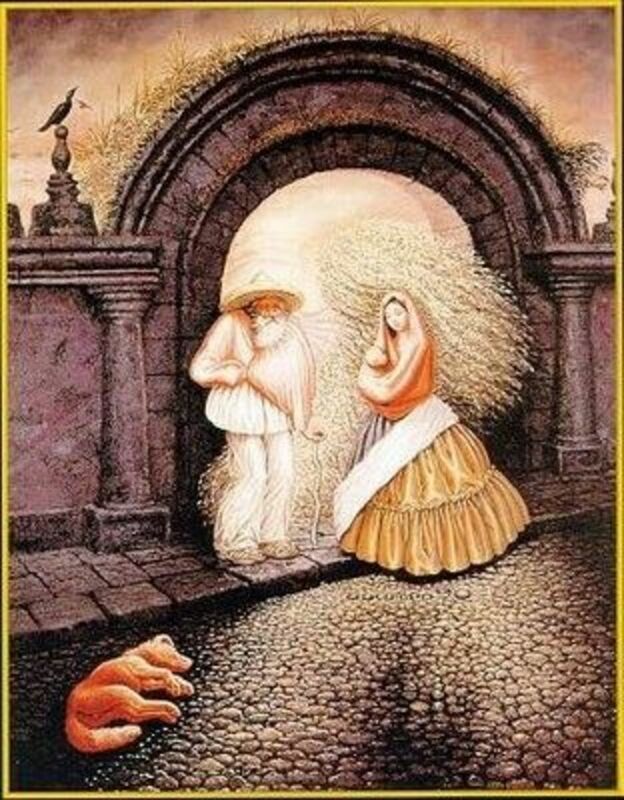 This is one of my favourite illusion images on www.eyetricks.com which has a huge collection of images all in handy sized galleries. Stare at the blue dot or the border of the image. 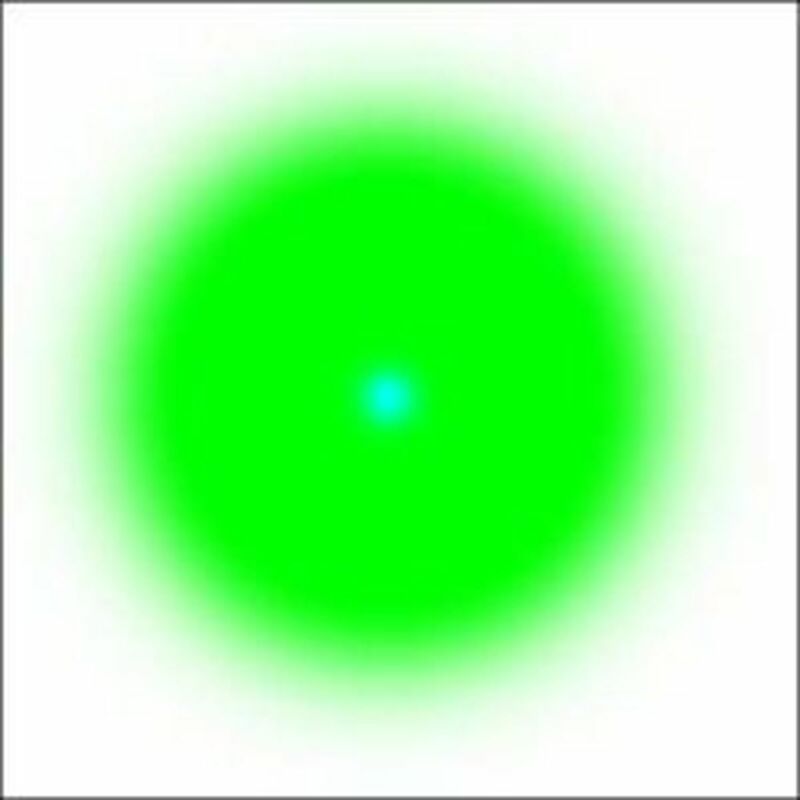 Gradually the dot will disappear and blend in with the background green of the image. 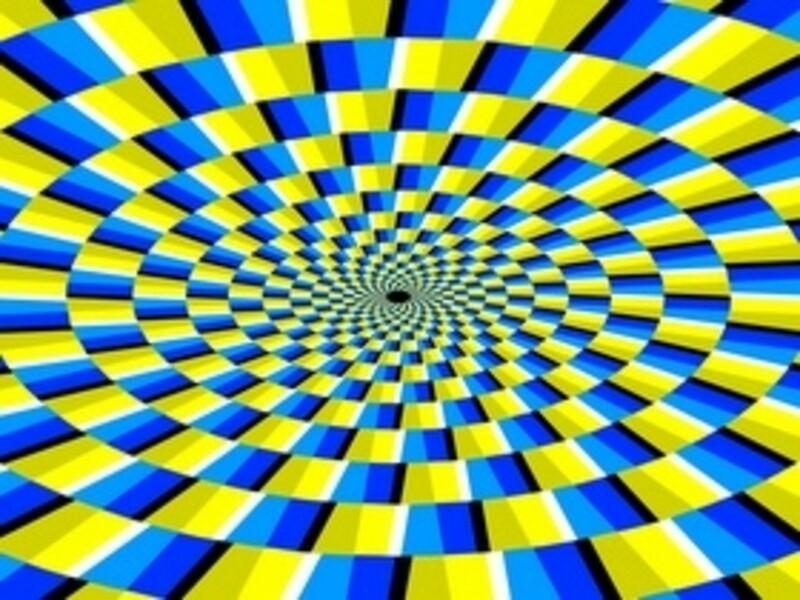 You need to keep your eyes and head still for the illusion to work. 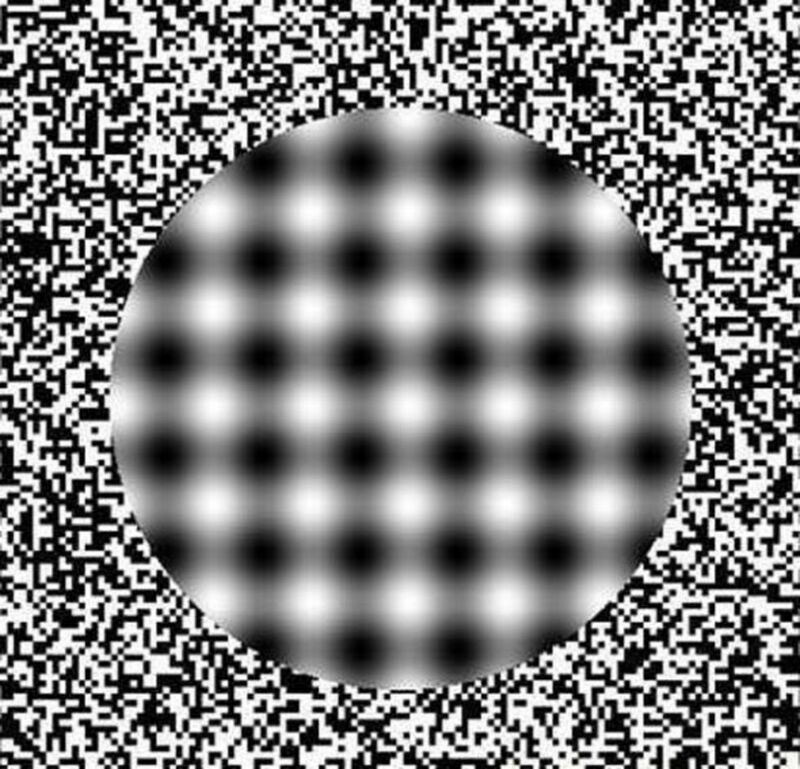 As soon as you move, the dot will reappear. Stare at the white dot in the centre of the red circle. After about one minute, maybe less, you will see the edges of the circle start to catch fire, becoming more and more intense. 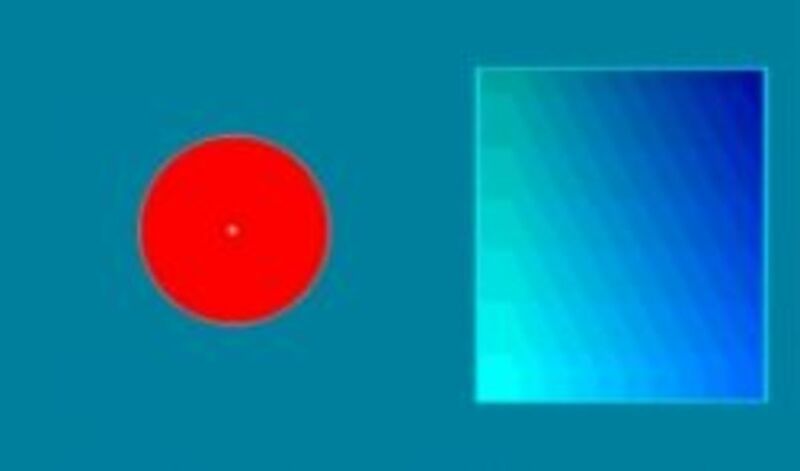 Moving your head slightly backwards should have the effect of the circle edge glowing with a cyan colour, the burning planet effect. Look at the image. The object of the task is to read out the colour of the font, not the word that is written. Can you do it in your head? Can you do it out loud, with no mistakes? 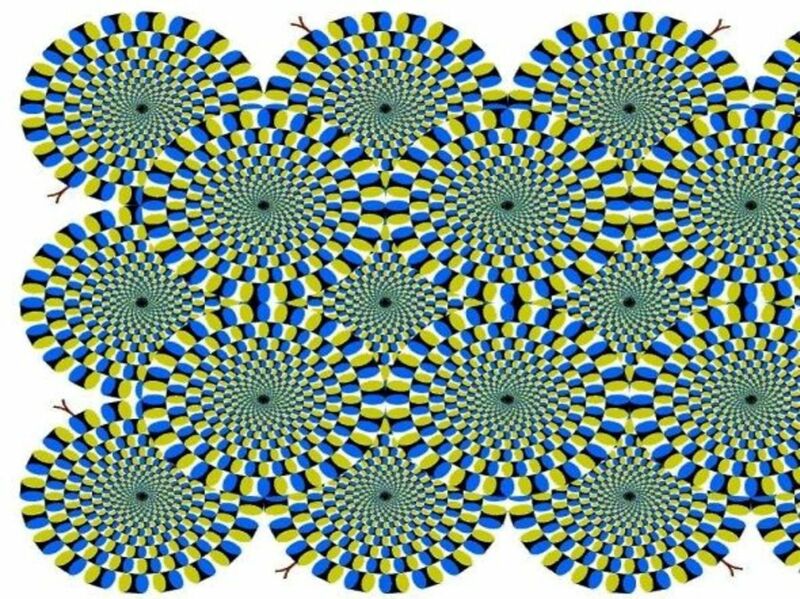 I hope you have enjoyed these top ten optical illusions. 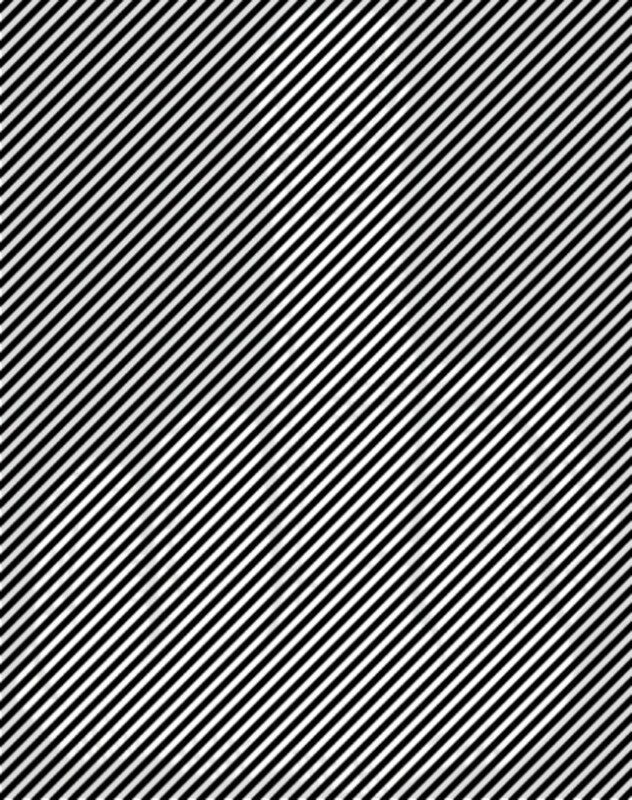 Please leave your comments or links to other optical illusion pages on the web. Take a look at this picture. There are nine hidden people in the photo, how many can you find. Some of the are just hidden faces. Please post your findings below to help other people. 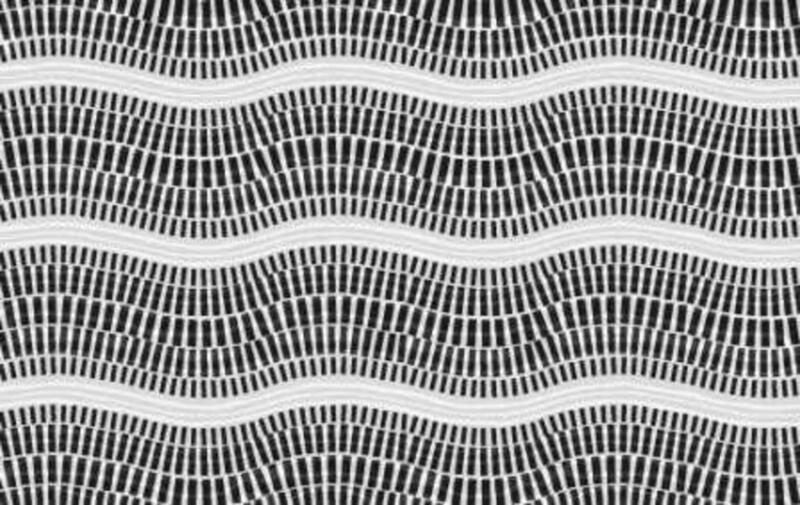 Stare at the image and it looks as if wter is flowing along the white lines. 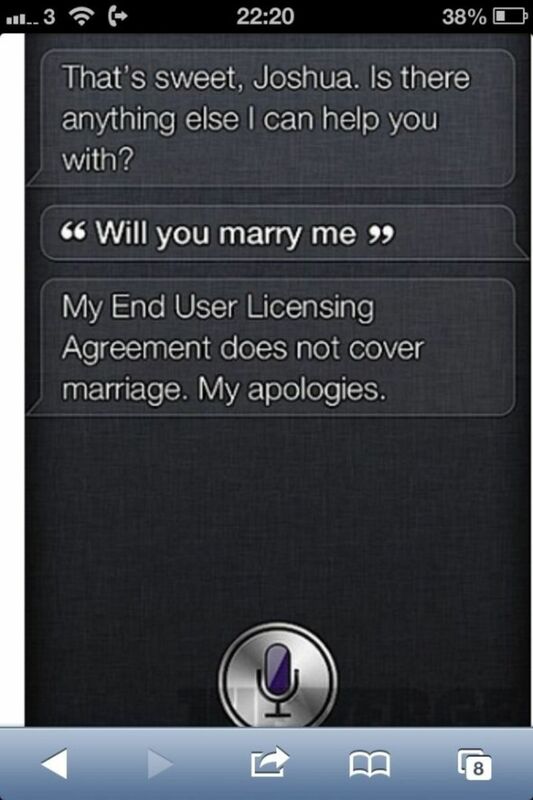 Are you a virgin Siri? What was your favourite illusion? 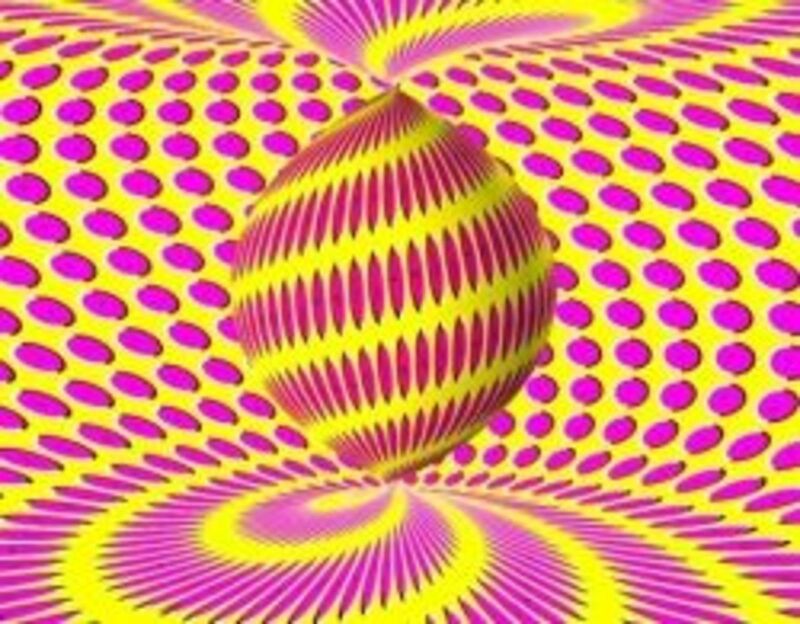 This is a nice collection of illusions and has some good links to other really cool images and especially epic fails. 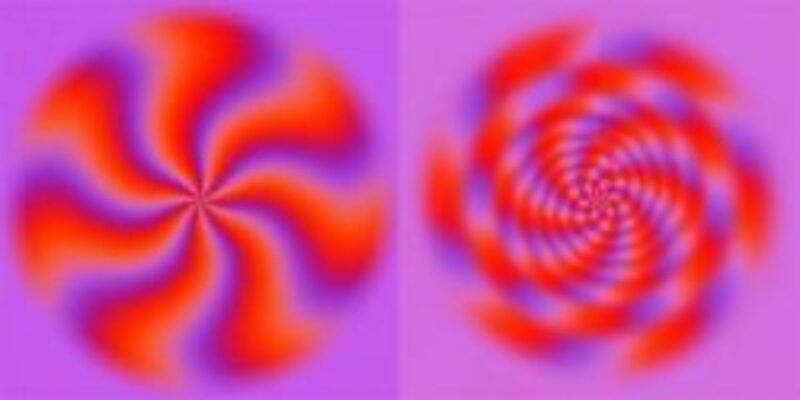 These are great illusions. Love Obama, never seen this one before. 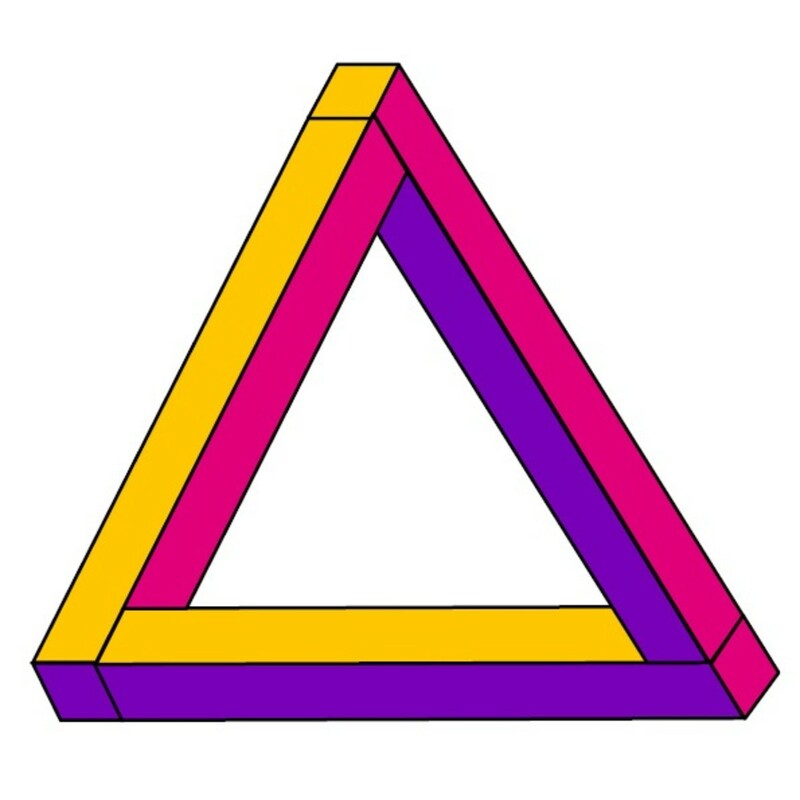 Cool collection of optical illusions... brain tricks are always good for a laugh! 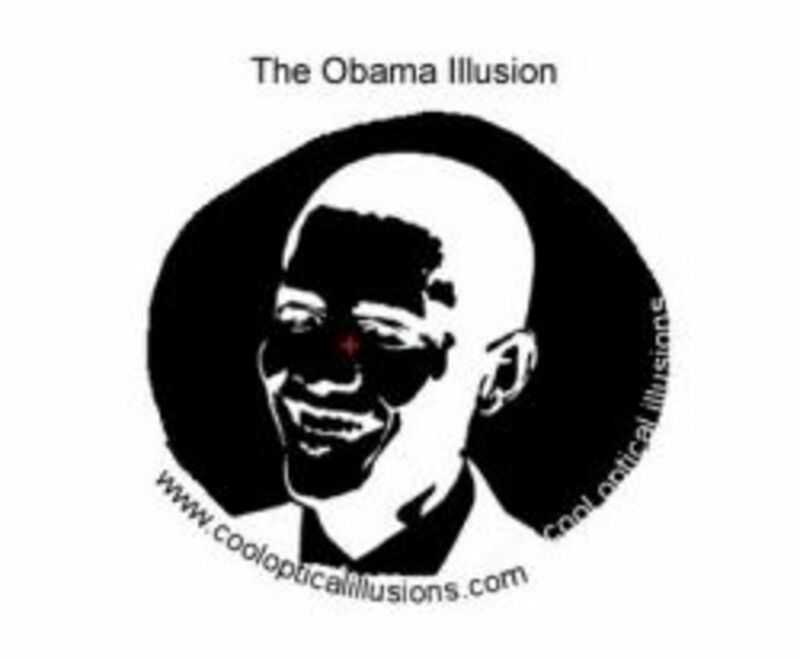 Great stuff, these are my favorite optical illusions love th Obama appearance!! Some of these are new to me and are really cool. I especially like the criss cross, rotating images and the Jesus illusion. Nice lens.